Earlier this month, Joey Landford with The Tea Merchant presented his new tea travel tumbler concept at the Coffee and Tea Expo in NYC. The product is still under development, but they plan to launch a Kickstarter in May to raise funds for final tooling and production. 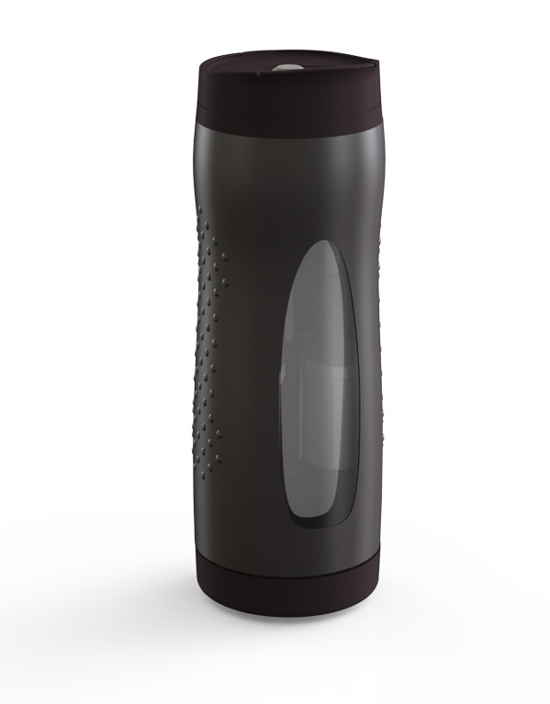 The tumbler is pretty neat and would definitely interest tea and coffee drinkers, especially when you’re on the go. 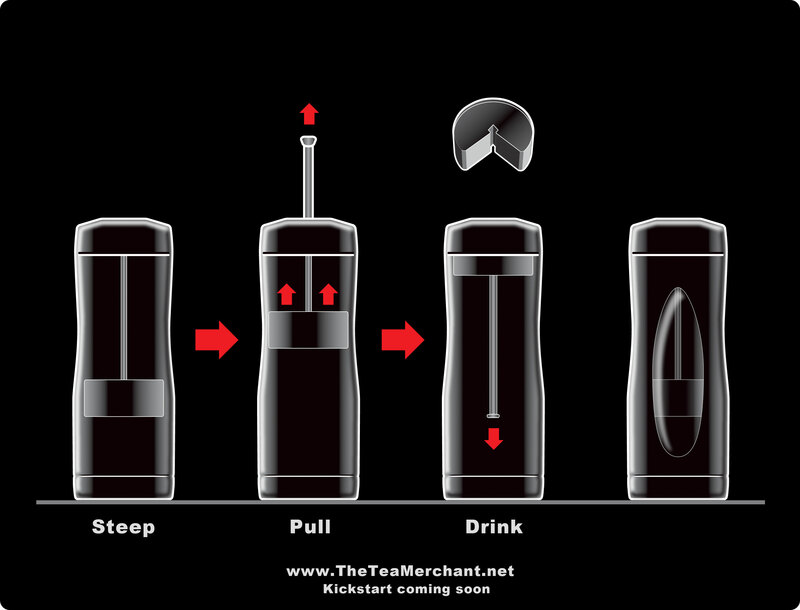 The main concept behind this tumbler is to allow you to control the steeping process. It works like a reverse tea press. Instead of pressing tea down allowing it to continually steep (and ruin the taste), it will pull the tea up inside the lid, outside of the water, stopping the steeping process. The convenient design allows you to enjoy your tea or coffee on the go, without the need of removing the infuser or taking off the lid. Since you control the steeping process, there’s no over-steeped bitter tea or over-pressed coffee. Bottom compartment for storing extra tea, coffee, sugar, etc. Here’s the latest prototype of the tumbler. Visit their website for more information on the tumbler and the Kickstarter. What are your thoughts?